The idea is to extend the sweet spot across the entire face. 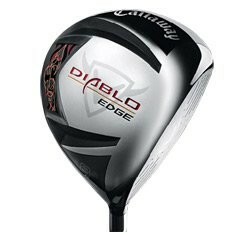 By using chemicals Callaway can effectively make the clubface one big giant hotspot. Swing away because no matter where you catch the ball, this design provides consistent ball speeds across the entire clubface. The Edge series has now been updated to become the Diablo Octane series. You can see our review of that club here. The Tour version of the Edge club has a low launch, penetrating and running ball flight. The ball takes off like a heat-seeking missile and slowly rises. As it drops back to the earth it runs out another 10 to 15 yards. What’s more is the driver makes it very easy to turn the ball over. For those dog leg lefts, I found it very easy to play a low draw around the corner. And of course for the dog leg rights, I cut it high over the trees. In addition, I was surprised how forging the Tour version was. It is very forgiving throughout the face. That goes back to the ginormous sweet spot that I already told you about. Off-center hits travel a decent distance. They still don’t go quite as far as when you catch in clean in the middle but the distance is negotiable. And if you want even more forgiveness, try the Standard version. The only thing I would worn you about is sound at impact is a lot louder and very annoying. It has a metallic “TINK” sound that is reminds me of the last time I watch a college baseball game.. Interested in the Standard? You can find it on Amazon here. To summarize, both the Tour driver and the Standard driver are very forgiving. The Tour is more workable but the Standard is more forgiving. I like the look, feel, and sound of the Tour driver better than the Standard, but unless you are a low handicapper, you better stick with the Standard. Just grab a set of ear plugs. Finally, the only other thing I would complain about is the lack of alignment aid on the driver. As big as the 460CC head is, I still would like a good guide to help me set up at address. Perhaps it’s just a safety blanket for me, but I like to have something.